R Leah Moon helps people from around the world with issues that affect their life, health, and well-being. Her cutting-edge private practice is known for its one-of-a-kind, root-cause-result-based approach. Her research work is in the Healing Continuum. She is the founder of the healing paradigm, Nous-Based Healing (NBH). Leah is a Shamanic Energy Medicine Practitioner certified through The Four Winds. She is also board certified as a: Naturopathic Doctor, Nutritional Consultant & Master Herbalist; state licensed educator; holds multiple certifications in and author of articles on energy medicine and energy psychology. Trained: intuitive, mentor, spiritual counselor, remote viewer, psychic, consulting hypnotist, certified medium, life coach, and master NLP practitioner. Through cross disciplinary training, research, and experience in her private practice, she has made energy healing natural, practical, and easily accessible to those who want to feel better, think more clearly, and get what and where they want to be in life. 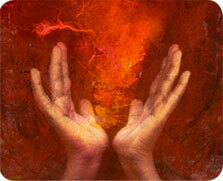 Shamanic Energy Medicine is the most powerful way to evolve that I have seen. It can open you to ”Unlimited Possibilities” that you have yet to imagine … How Good Is That!!! Visit my website and book right online or call me with your questions.